Land Rover has debuted ‘Project Hero’, a new Discovery vehicle with a tailor-made communications drone and other specialist technology to enhance Red Cross and Red Crescent emergency response operations in the wake of disasters. Launched on 7 March at the Geneva Motor Show, the bespoke vehicle and drone was designed in close collaboration with emergency experts from the Austrian Red Cross, as part of a global partnership between Land Rover and the International Federation of Red Cross and Red Crescent Societies (IFRC). The roof-mounted drone can take off and land while the vehicle is moving and is controlled by occupants using a tablet app. Once airborne, the drone feeds live footage to emergency response teams — allowing rescuers to investigate an emergency scene safely, and to rapidly assess damage, hazards and the condition of people who need help. 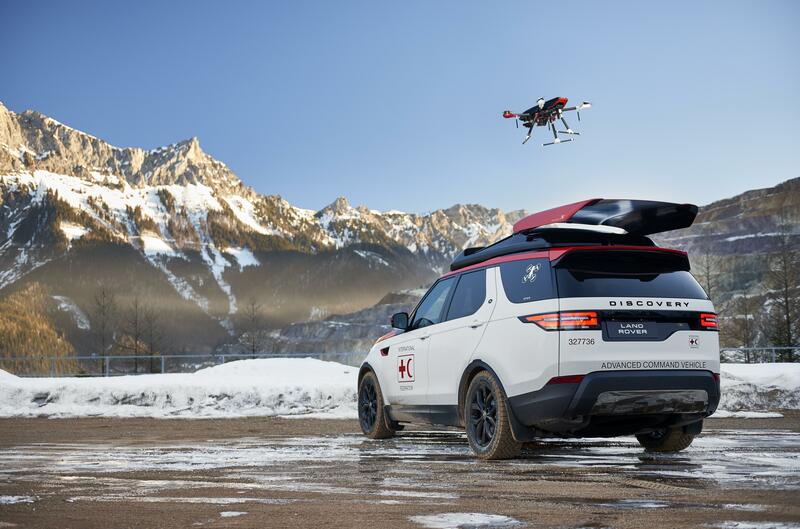 The vehicle and drone will be trialled for a year by Austrian Red Cross emergency response teams—in simulations and test-runs as well as real-time responses to accidents, landslides, avalanches, floods and other disasters that occur in Austria’s mountainous Eisenerz region. 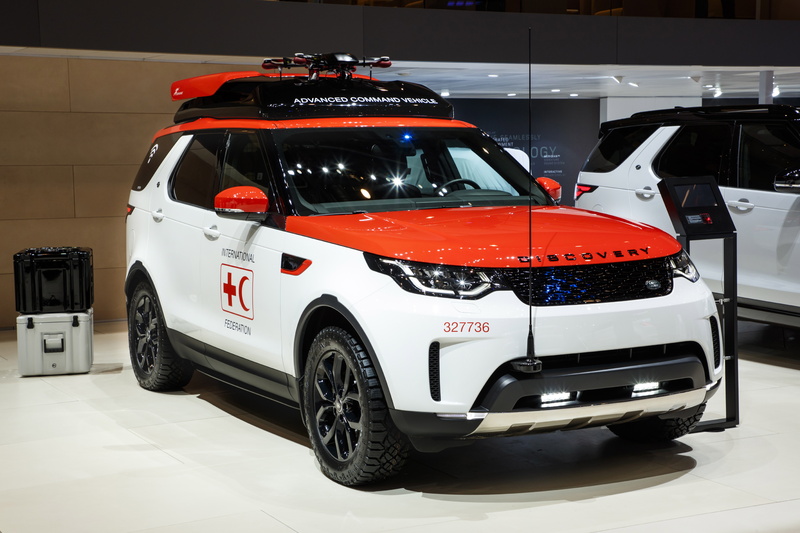 In 2013, Land Rover set a five-year target to provide 18.7m Swiss francs (£15m) in support of Red Cross and Red Crescent humanitarian programmes.